December 1st is here. 24 days till Christmas! 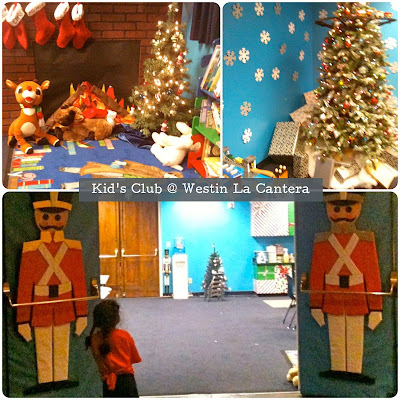 Here is an activity that is on our San Antonio Christmas countdown activities. Frost at Westin La Cantera. It's a winter wonderland that is not just for the resort guests. It is open to the public and has great activities! to make some arts & crafts or read a christmas story. Ice skating costs $10 for 45 minutes and ice skates. Open daily from 11a-8p. Great for beginners, the "ice" is a Hybrid-ice platform, not real ice, but just as fun! After skating, you can sit and order some food or drink at The Gantry. The resort has heaters, blankets and seating right outdoors! 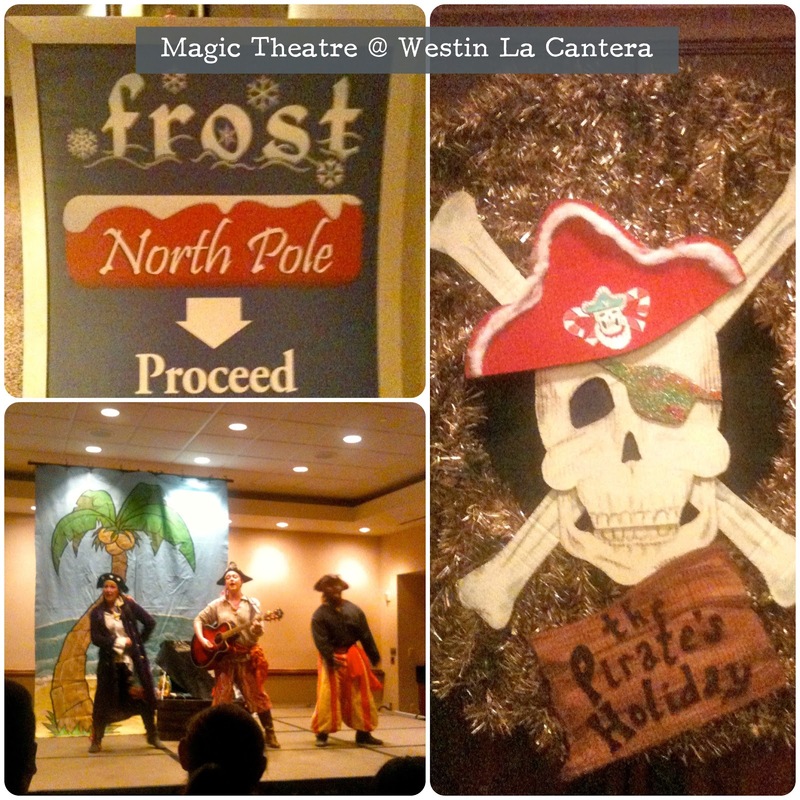 Schedule your day just right and you can catch the Magik Theatre's showing of "The Pirate's Holiday". Like every Magik Theatre play, it is amazing and funny. Like laugh out loud funny for kids and adults alike! Cost for the play is $5 per person, 3 and under are free. 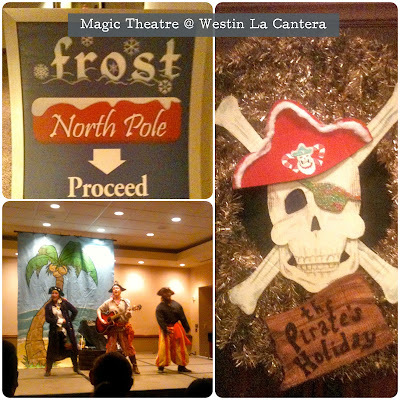 Shows are at 7:30p on 12/3, 12/10, 12/16, 12/17 (also at 3:30p), 12/19 thru 12/23. I definitely recommend making a reservation with the concierge and arriving 30 minutes prior. We had a great time, and can't wait to return! concludes with a magical snowfall in the San Saba Plaza. Also open is Santa's Workshop with a toy making workshop from 6-7:30p, guests can make a take home toy, decorate gingerbread cookies, and meet Santa. Be sure to bring your own camera! When planning your day, call the concierge at (210) 558-2439. Feel like staying the night? Like the Westin La Cantera on Facebook for special "friend" rates! 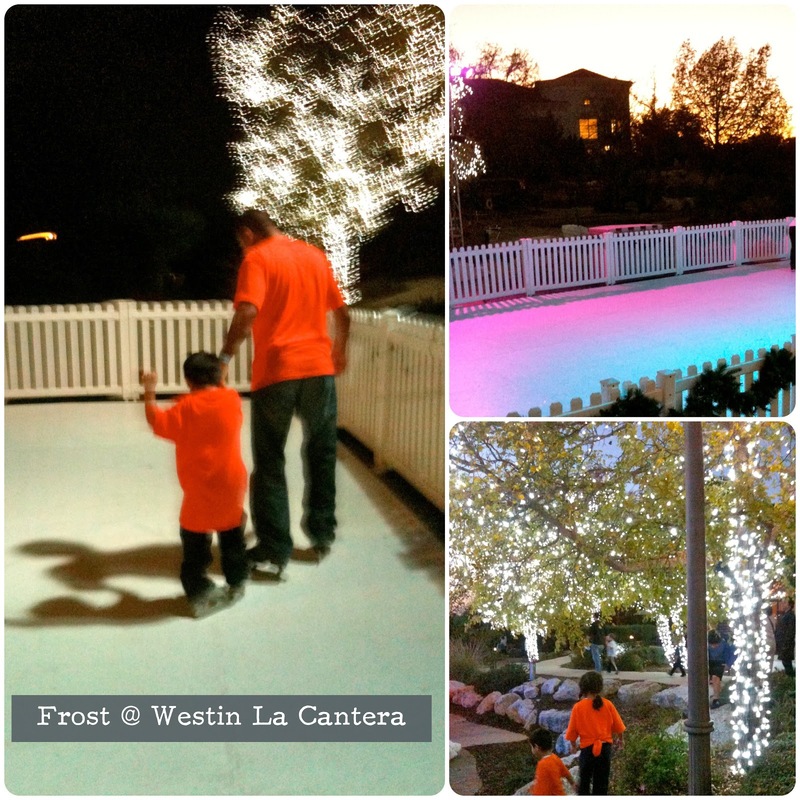 We were invited to a Mommy Blogger preview of Frost by the Westin La Cantera. Ice skating fees and entrance to "The Pirate's Holiday" were complimentary. I was not asked to write any posts; all opinions, pictures and experiences are my own.